With over 1 billion users worldwide, Facebook is today’s largest social media platform. Everyone, young and old, seems to use Facebook to connect with loved ones and share pieces of their life. Businesses from all industries are using Facebook advertising to connect with their audience, establish their voice, and generate more leads and sales. It offers the unique opportunity for businesses to connect with customers directly, on a more personal level from the other side of the world. And while that may seem vast, Facebook allows you to target your audience and offer the information they are looking for with precise accuracy. Facebook advertising is a must-use marketing tactic when it comes to expanding your business and reaching your customers. 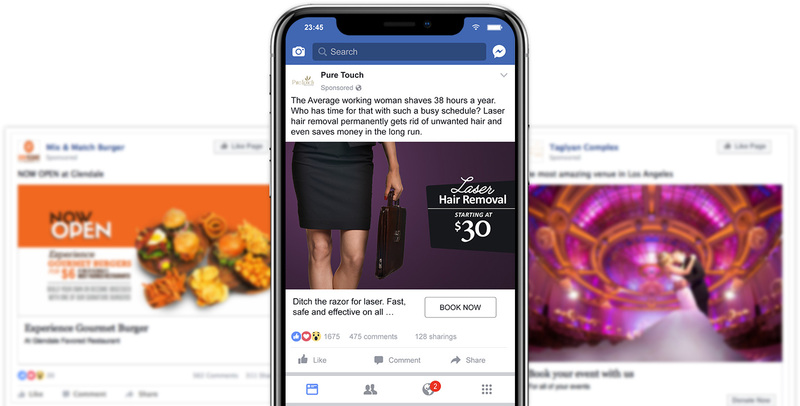 With Facebook ads, you can easily target users you know will be interested in your products or services, targeting ads at specific age groups or users in a certain location. This takes the guesswork out of social media advertising and drastically increasing the leads you gain from your ads. In addition, you can offer true value to your audience while simultaneously boosting your sales. Facebook ads are not about boosting your post rather than running active campaings that is being measured by results. For that, you need to work with Facebook advertising agency like Alecan. Our experts fully understand and appreciate the many benefits of Facebook ads, and can make sure your campaign meets your objectives. With its huge database of daily users, Facebook offers an incredible opportunity for business owners to reach a wide range of potential customers who are interested in what they’re offering. Businesses can use Facebook’s extremely effective ad targeting system to reach a precise consumer base. You can even target your Facebook ads to focus on a single person, unlike those on Google or Twitter. Facebook users don’t just log in on their laptops and desktops. Many use Facebook on their phones, which has made it the number one mobile app in the world. And with more and more on-the-go consumers demanding instant information, you need to make the move to mobile with the best platform possible. Facebook ads are placed directly in front of users streaming through their daily newsfeed, and can even display videos that play automatically. Our social media advertising process involves looking into exactly who your customer is and where they are. First, we determine the demographics of your audience, which look at the age, gender, education, and location of your customers. Next, we analyze their interests, targeting your audience based on their hobbies and the things they already like on Facebook. Third, we factor in their behaviors, to find your consumer based on how they interact on Facebook. And finally, we incorporate retargeting ads by reaching out to people who have visited your website, had an interest in your service but never bought or have been a customer once to convert sales. The great thing about Facebook advertising is that it can work on a number of devices to reach your customers at home, at work, and when they’re on-the-go. The ads are displayed on users’ Facebook newsfeeds both on their desktop computer and mobile devices. Also, ads can be shown on Instagram and Facebook’s Audience Network. Although Pure Touch is a local business, their industry is highly competitive, so one of the most important goals was to gain loyal customers for them. 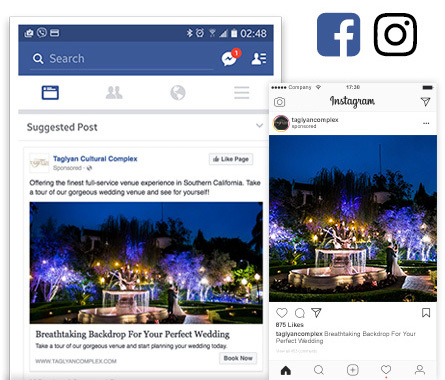 Is Facebook or Instagram The Right Platform for Your Business? Do you sell a product or service to consumers? Can you categorize your consumers based on their professions, hobbies, or interests? Is your product or service unique? Would you like to showcase a commercial or video to consumers? Do you want to promote to local customers? Do you want to reach people in a certain profession or at a certain company? Can your business relate to people on a personal level, either through humor, emotions, or by providing solutions to their problems? If you answered “yes” to any of the above questions, then Facebook can work for you! At Alecan Marketing Solutions, we takes care of every component that is involved with truly effective Facebook advertising. You will never be on your own to figure out Facebook and risk wasting valuable time and money when you should be focusing on running your business. 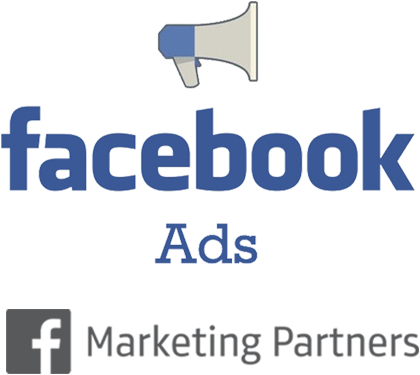 We are experts in Facebook Ads and are crucial to social media advertising. Account Managers, to oversee your Facebook account at all times. Copywriters, to create the content for your Facebook ads using market-tested verbiage. Conversion Tracking, to ensure your ads are seeing the results we want, and to tell us what needs to be changed if they aren’t. A/B Split Testing, to tell us exactly what needs to be tweaked about the ads, including the content and images, to provide you with the best ROI. Graphic Designers, to create and edit quality images that support the ads. Applying new technology to boost results and track conversions. Research and gather new audience to target ads. Implementing industry best practice to performs well. Collect data, optimized, and generate reports . For Facebook Paid Ad Management, Alecan Marketing Solutions follows a traditional pricing model with a minimal management fee or as a percent of the month spend depending on spend. We also customize packages and performance models depending on the scope of the project and other services provided. When total media spend is between $5,000 - $14,999 per month. When total media spend is between $15,000 - $49,999 per month. When total media spend is between $50,000 + per month. Are You Ready To Use The Power Of Facebook For Your Business? As you can see, Facebook ads are a powerful tool that you can’t afford to miss out on anymore. The most successful businesses moving forward will be those who use social media advertising to the fullest. If you’re ready to invest in the experts in this constant evolving field, then you need to have the Facebook advertising prowess of Alecan Marketing Solutions at your side.